Following you’ll find a selection of our most frequently asked questions to assist you in planning the best holiday you’ve ever had! 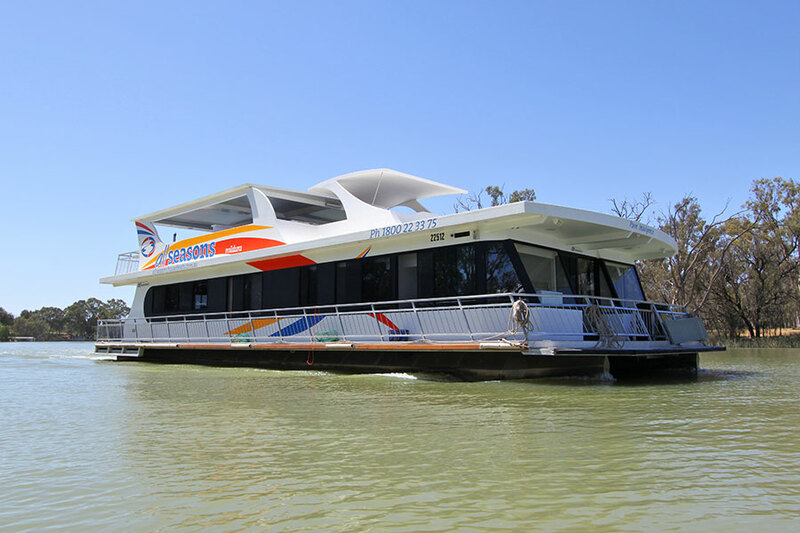 Tips for planning your houseboat holiday! Are you bringing any electrical equipment onboard the boat? If so, we need to ensure that anything you are bringing is compatible with our power systems. Hair dryers, electric shavers, mobile phone and camera chargers are fine – anything apart from that MUST be approved! Failure to gain approval for any electrical appliances could result in damage to the power system for which the hirer is responsible. 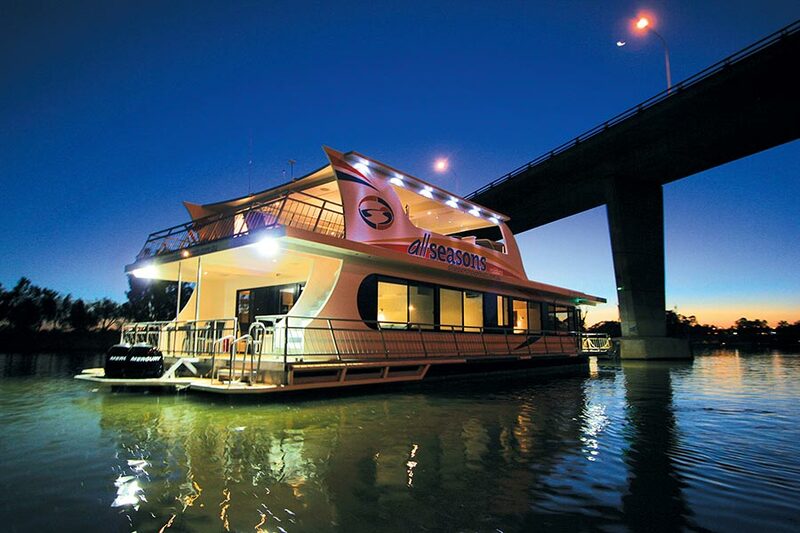 We need to know how you would like the bedrooms on your boat made up to suits your group’s sleeping requirements. Some beds can zip apart to become singles so we need to know what configuration you would like the beds made up in. Example: 6 passengers on Margaylea could be 3 queens or 6 singles plus divans. Q: I don’t have any experience with boats will I still be able to take the boat? 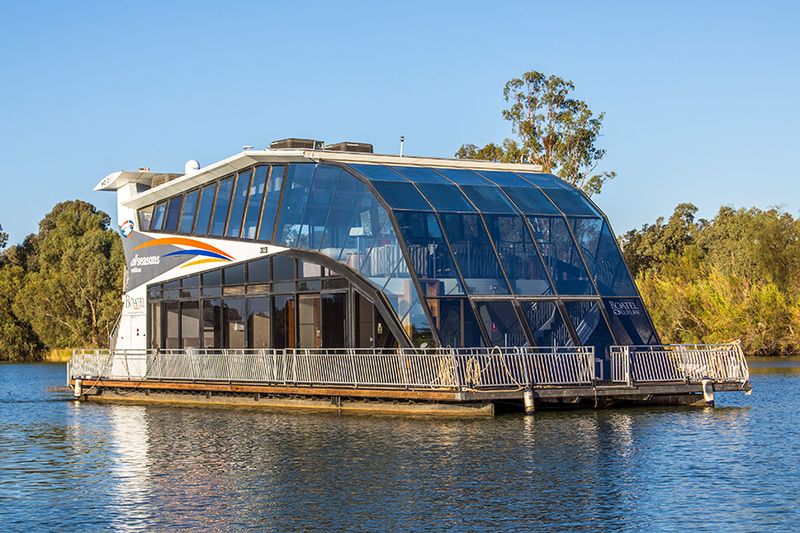 A: Modern houseboats are surprisingly easy to operate. Our professional staff will explain the operation of your rental from bow to stern before you leave and after your practical instruction you’ll be on your way in confidence. It’s that easy. 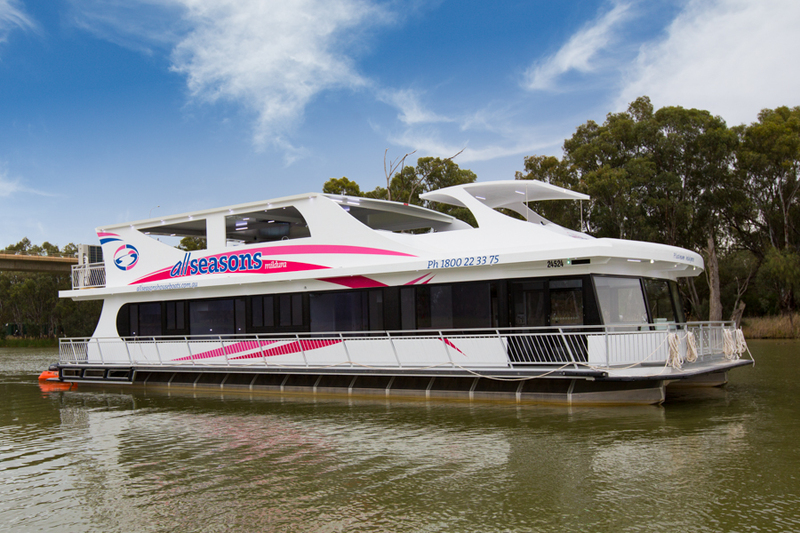 A: A full car driver’s licence or boat licence is all that is required. The hirer must be over the age of 21 years of age. Q: What if I need to contact you while we are away? A. Base contact is available 24 hours a day by mobile phone. A. 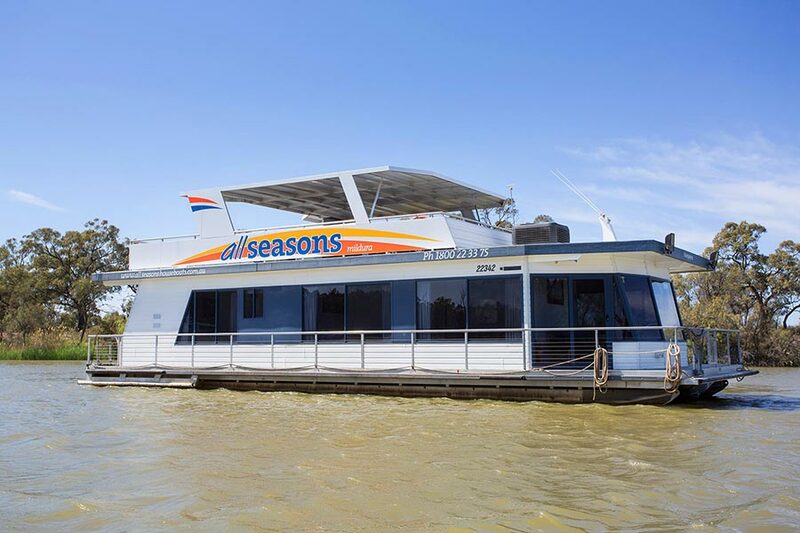 Simply phone All Seasons Houseboats on 1800 22 33 75 or on (03) 5023 3375 to discuss available dates. Or use our contact form online and we’ll get back to you. 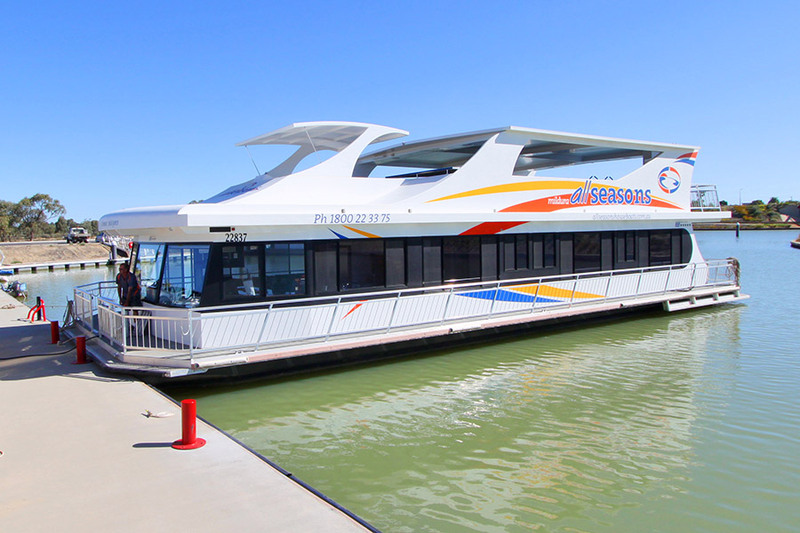 Once you’ve decided on the date and boat that best suits your group we will make a tentative booking for you. All that is then required is for you to pay a deposit of $1000 within 7 days. This deposit is deducted off your hire fee and once this is made your final balance is due no later than eight weeks prior to departure. Q. 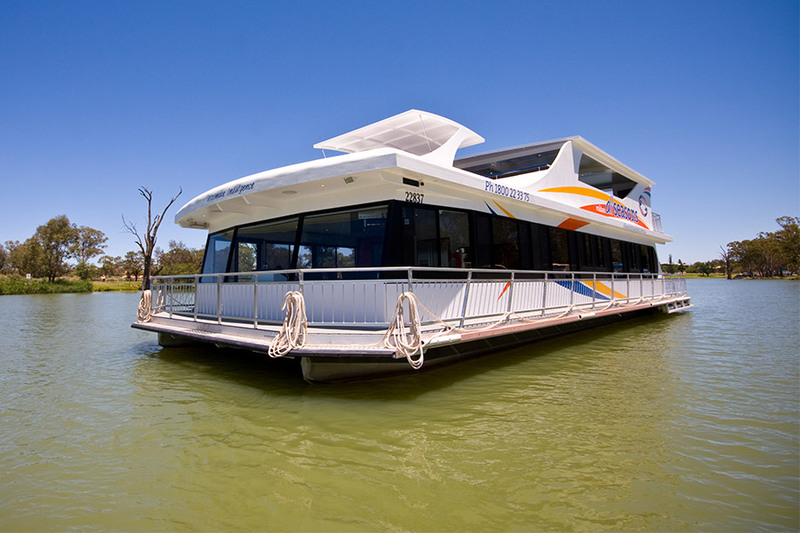 Where can I stay if we arrive a few days early or want to stay on a few days explore Mildura by land? A. 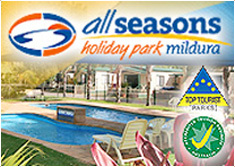 Why not stay at All Seasons Holiday Park and receive “great” discounts on accommodation both prior and after your houseboating holiday. We are a centrally located and are 4 1/2 star Top Tourist park with accommodation to suit everyone! Q. What is there to see and do along the way? A. 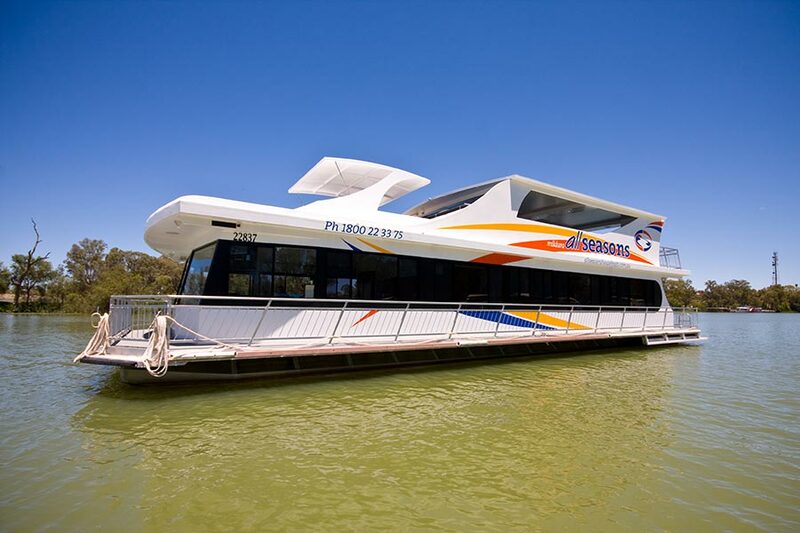 Here is a sample of a 3 and 7 day itinerary, which may help you in planning your houseboat escape. A. 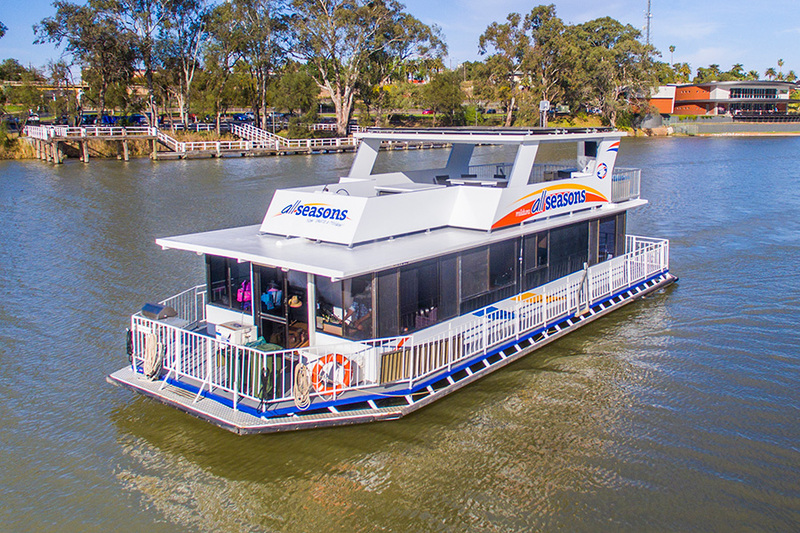 Free secure car parking is available at the Mildura Marina. A: All you need to bring is your food, drinks, personal toiletries, CDs, DVD’S, binoculars and fishing equipment. 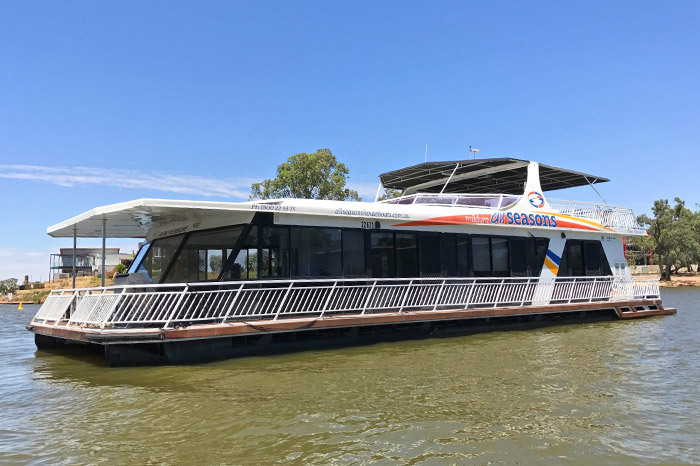 A: Mallee Meats & More specialize in houseboat food deliveries and will unpack frozen and cold items into the fridge on your arrival day. Click on the following link or we can email you one on request. Download PDF order form. 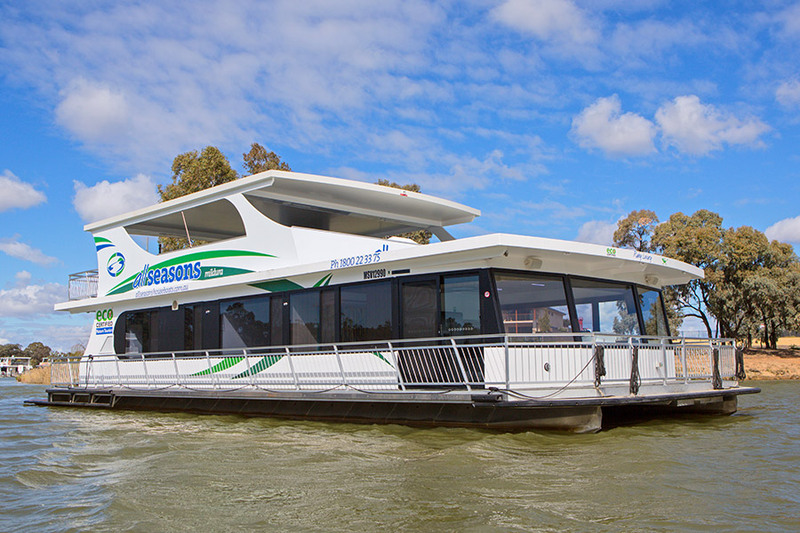 Mildura is a large rural city with the major supermarkets all open from approximately 7am to midnight. Q: Where can we buy extra supplies once we are on the river? A: Supplies along the river are very limited, we recommend you take as much provisions as you think you will require. 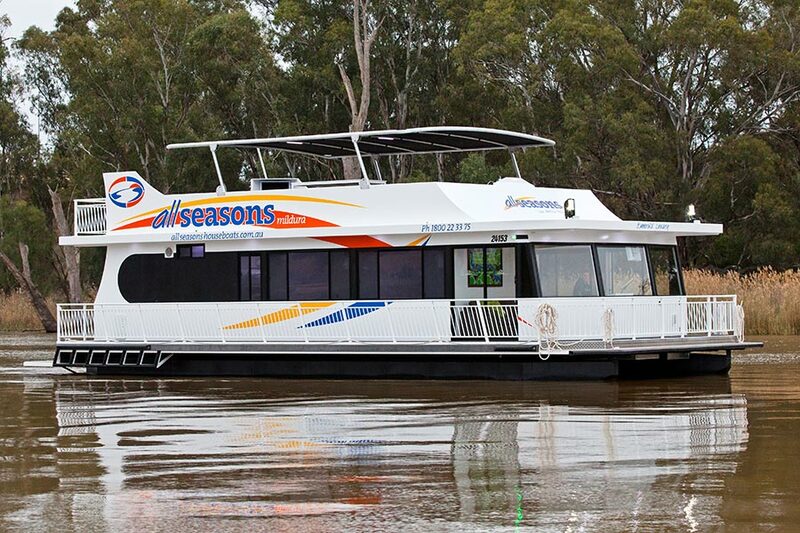 Mallee Meats have some service points along the river (conditions apply). Q: How big is the fridge? A: The fridge is a large fridge freezer with plenty of space. There are large eskies aboard all boats for ice and drinks or frozen food. Q: Is there fresh water on board? Q: What facilities are there onboard? A: Supplied aboard all boats are bath towels, quality bed linen, including doonas and spare blankets, pillows and soap. In the kitchen there is dishwashing tablets, fly spray, kitchen sponges, tea towels etc. All boats have fully contained kitchens with microwave, stove/ovens, all cutlery, crockery and glasses, including wine and champagne, and plastic ware for our smaller guests. There are BBQ’s onboard. All boats have outdoor dining tables and chairs and sun lounges upstairs and full sun canopies. All boats have roof top spas. Q: Is the river fresh water? A: Yes it’s fresh and Yes it is good to swim in however caution should always be applied. There are no sharks or crocodiles. Diving is not recommended. Wearing PFD’s are recommended for adults and children. Q: What fish are in the river? 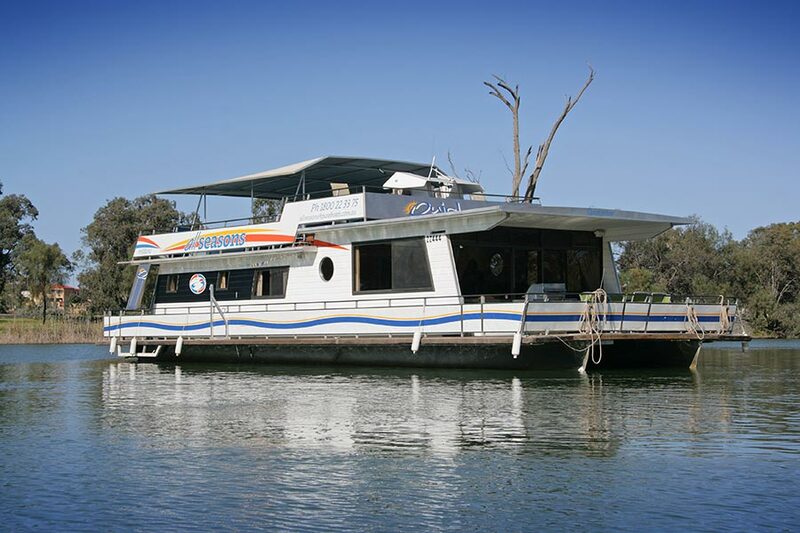 A: Murray Cod, Callop, Redfin, Catfish and Carp as well as yabbies. Check the fishing guide on board. 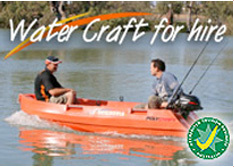 As the Murray River is NSW waters, you do require a fishing licence to fish. Fish licences can be purchased from us upon arrival. A: All boats range between 4 and 8 knots. Q: How large are the ice boxes? A: Approximately 100 litre esky. 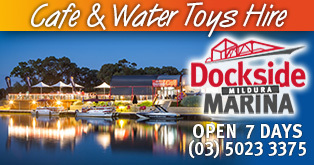 Q: Can I bring my speedboat and tie it to the houseboat? A: Yes you can, there are buoys along the sides of the boats and some boats have ski “V’s”. Q: Do I supply my own ice? A: Yes you can supply your own, or we can fill the ice box for you. Cost of ice is deducted from your security bond at the end of your trip. This is a very convenient service and our experience helps ensure that we stock the esky with enough ice to see you thru your entire holiday. Please let us know prior to the commencement of your holiday if you would like this service. A: If you would like to have a campfire on the riverbank we can arrange for firewood to be stocked onboard your boat. The cost is $15 per load and the cost is simply deducted from your security bond at the end of your trip. Please note that we are unable to provide full or part refunds on unused firewood. Q: Are there any tours we can do whilst aboard? 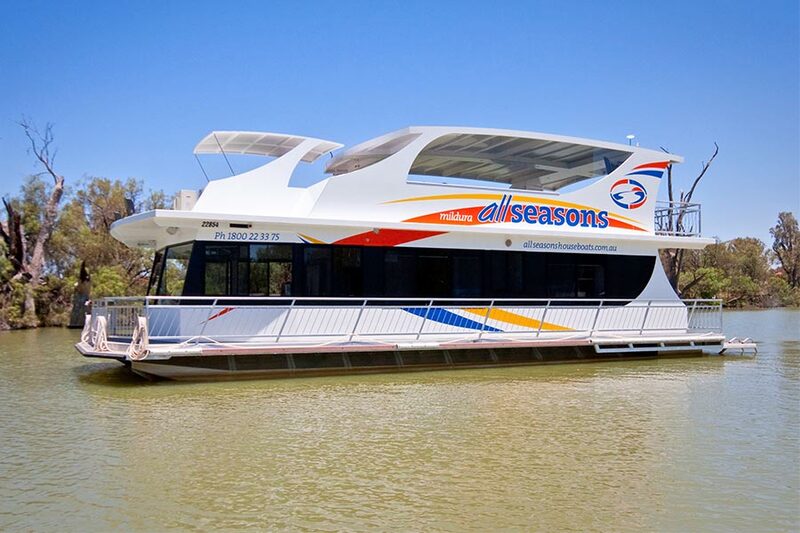 A: At All Seasons Houseboats we want you to have the best holiday you’ve ever had that’s why we offer a comprehensive list of attractions for you to help make planning your holiday a stress-free and enjoyable time and to ensure you’re able to make the most of your special time onboard and in/around Mildura! 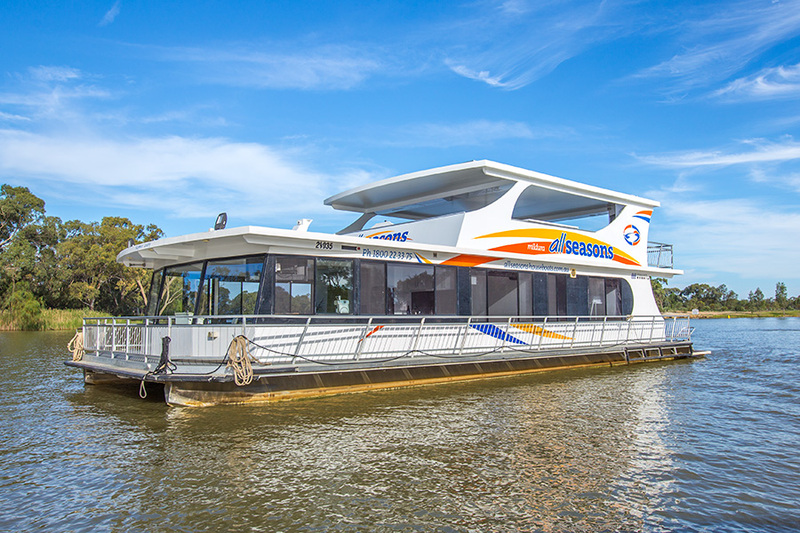 Tips for planning your houseboat holiday!